Frocester Beer Festival... Fun, Beer, Friends! You may have noticed that our unique beer festival has changed a bit over the last few years. 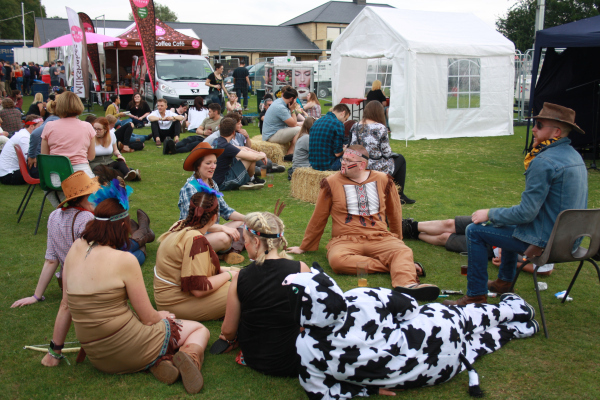 This year, in response to what you are telling us, many things will remain the same, like the same great range of beer, cider and wine, and the popular Pimms and Bubbles bars will be back again, as will our carry-out containers and face-painting! However, sadly we are no longer allowed to offer a branded glass tankard or wine glass, as the License issued to us by Gloucestershire County Council now prohibits their use at the festival. Ticket prices do still include an FBF branded plastic sleever though, and we are also offering the option of a top quality branded polycarbonate tankard at just £3.50 each. We will also still be offering a great range of food from local suppliers, which will be available right up to 11.30pm each evening, half an hour after the bar closes. 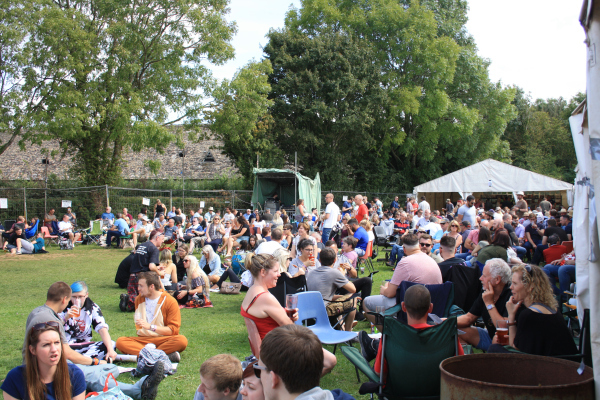 The music at the festival is constantly under review, and this year we have more great local covers, dance and rock bands, such as Mark Walby and Inbetween Days on Friday, and Masterplan and Thrill Collins (plus an ABBA tribute band!) on Saturday, together with great accoustic music in the Chill-out Zone too. Click HERE for the full line-up of our festival performers this year. Once again, we are looking forward to serving dozens of different beers and ciders from varied and diverse sources. Last year we also increased our range of cider, and this will continue this year too. The bar will open at 2pm on Friday again. This proved very popular, and is an opportunity to make a relaxed start to your time at the festival, sampling the drinks of your choice and listening to some quality music too. This year we are expecting to have a capacity crowd again, so order your wristbands in good time. That said, we have changed a few things to provide more space for everyone! As with last year, we will be issuing wristbands only, rather than a paper ticket. For those of you who have booked online, we will continue to distribute your wristbands promptly, as we did last year, and you will be able to enquire and make changes to your order at tickets@frocesterbeerfestival.com. 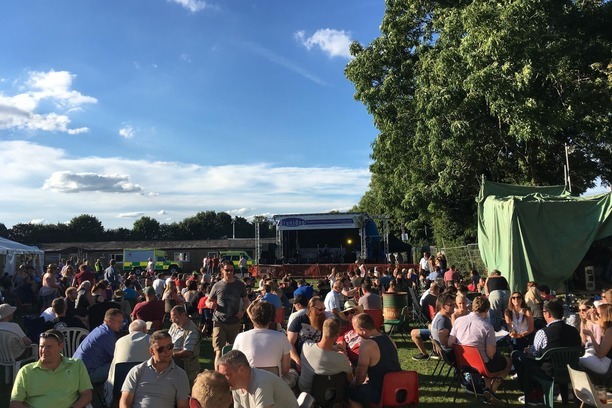 The parking, drop-off and pick-up arrangements remain the same as they were last year, with mini buses running to Eastington, Kings Stanley and Leonard Stanley both evenings. Once again we have a lot of unpaid organisers who work really hard to deliver your festival and to continually improve it each year. We would also like to thank all the hard-working Frocester Cricket Club members and friends who work tirelessly over the week running up to the festival and over the weekend itself. Finally, thank you to the residents of Frocester for all the help and consideration you give us. All the profit from the festival each year goes to local charities and providing facilities at the cricket club. 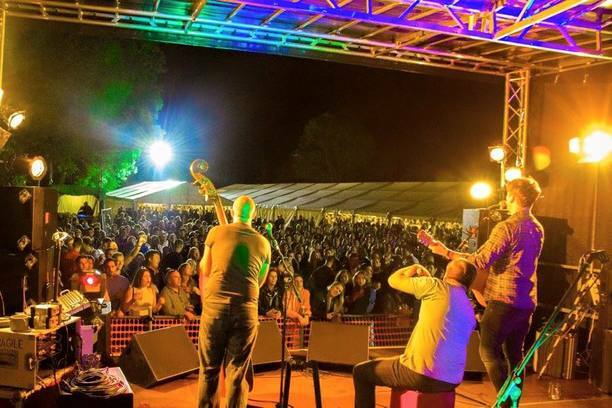 We hope you will find your festival as familiar and exciting as you always have, and if you are coming for the first time, we are sure you will enjoy one of the premier beer festivals in Gloucestershire. We look forward to welcoming you on the day. Cheers! Please note: No stopping outside The George or in the road near the festival site is permitted. Please use the designated drop-off/pick-up points, or the free bus services we’ve laid on. You can buy tickets via this website. Alternatively, you can purchase tickets by post, incl. block bookings (SAE and cheque required), from: FBF, 13 Woodlands, Leonard Stanley, Stonehouse, Gloucestershire, GL10 3NW. Can Under 18s come to the festival? Yes they can. However those under the age of 18 must be accompanied by an adult and must be clear of the festival site by 18:30 each day. For those of you over the age of 18, proof of age may be required and please note the admission ticket is no proof of age! Yes, there are lots of toilets in the main site (and don't worry campers, there are some super nice toilet facilities in the campsite too). Unfortunately not. No pets of any description are allowed in the festival. The only exception to this are registered guide dogs. How do I get to & from the site? Pick-up, drop-off, taxi, free buses and parking points are indicated on the site map. There is no stopping outside The George or on the roads near the festival. To pick-up or drop-off, please ensure the designated areas are used. Cars must be parked and tents carried to the campsite; there is no vehicular access to the campsite. This is England. Let's be honest, it's likely to rain! The majority of the festival site is on grass. Although we will make every effort for you to be as comfortable as possible, it might be worth packing some wellies just in case! I'm in a wheel chair, what's the access like for me? Although most of the site is grass, there is also a hard-standing area and disabled toilet facilities. We also have a limited number of disabled access camping pitches. Please email info@frocesterbeerfestival.com if you would like to book one of these. In the event of an emergency during the festival, an air horn will sound. You must assemble on the cricket square marked on the map and await instructions. I ordered tickets online, when can I expect them? You will usually receive your tickets within 14 days after ordering and paying for them. Can I use a bank card? Yes, drink and food tokens can be purchased using cash or card. Please be aware, due to the poor mobile signal in the area, there may be a short wait for card purchases. Can I bring my own BBQ? Yes you can. There a designated BBQ area in the campsite. However, no naked flames are permitted anywhere on the campsite except for the BBQ area. You can come in and pitch your tent from 8.30am onwards on Friday 23rd August 2019. Note: Camping is free, but all campers MUST have an admission ticket for the festival. 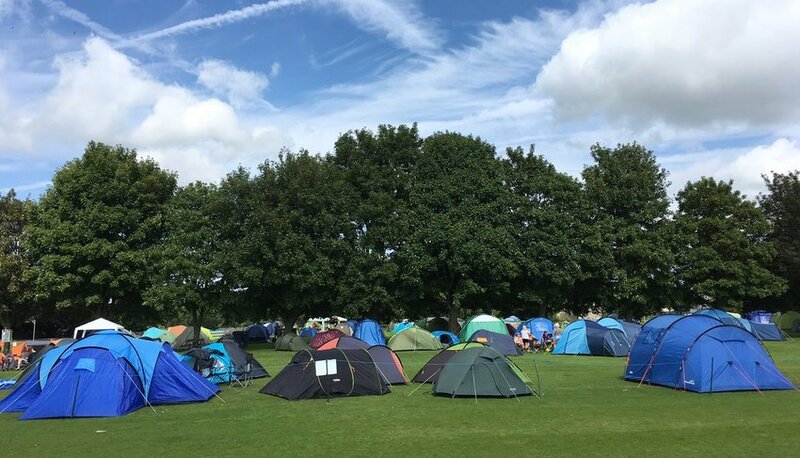 Tents must be pitched at least 3 metres apart and must be cleared by 12 noon on Sunday 25th August 2019. N.B.- We have a limited number of disabled access camping pitches. Please email info@frocesterbeerfestival.com if you would like to book one of these. What are the bar opening and closing times? Do I get a free glass? Yes, a free plastic FBF beer glass or wine glass is included in the ticket admission price. If your free plastic FBF glass is broken, please take it to the bar and, stocks permitting, you will be able to buy a replacement for £1.50 each. Can I bring my caravan, trailer tent or motorhome? Not into the main camping field. However, if you do want to bring a caravan, trailer tent or motorhome, please contact us and we will hopefully be able to accommodate you in the overflow campsite. Drop us an email to info@frocesterbeerfestival.com.